Episode 11: We are almost done with the first month of 2019. You probably set a handful of resolutions for the New Year (on paper, or in your head!) and you may or may not have already fallen off of the wagon. Regardless, that new and freshness can still be achieved in your Youth Room. In this episode the guys discuss just a few ways you can freshen up and bring new life to your meeting space. With just a few simple ideas and not dipping too far into your shiny new budget, you could really change things up in your ministry. Take a listen and give us some feed back! Our sponsor for this episode is Youth Worker. They exist to equip you to lead and raise up the next generation of the church. It’s their job to offer resources specifically for student ministry pastors and leaders to help as they minister to teens and pre-teens. 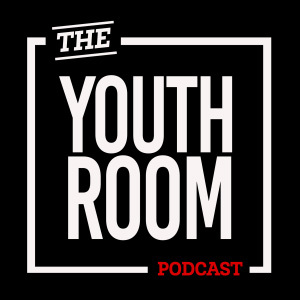 You’ll find youth ministry mini-movies, worship tracks, worship backgrounds, church countdowns, and other media for events, small groups, and services each week. Plus, get tips and tools to develop leadership, discipleship, and encouragement for students in their walk with God from our wealth of article content and free resources.